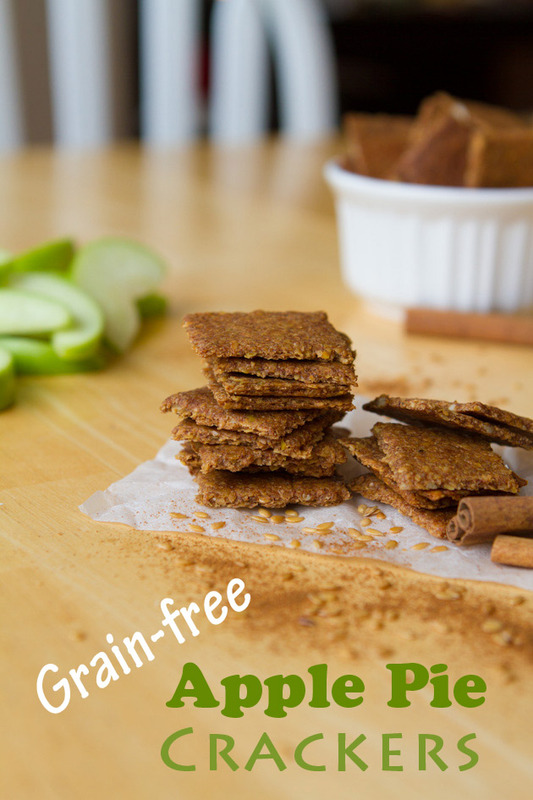 Grain-free crackers made with a ground flax, sunflower seeds, fresh apple and apple pie spices. Grab a piece of parchment paper about 10 inches wide. Scoop 1/2 cup of the cracker dough, roll it between your hands to make a ball, then place on one side of the parchment, in the middle. Fold over the parchment (like a book) and then roll the dough between the two pieces of parchment until it’s about 1/4-inch thick. Fold away the top half and cut or rip it away. Score the crackers into 1-inch cubes. Keeping the crackers on their current sheet of parchment, transfer the sheet to a baking sheet and repeat. Bake for 1 hour and 50 minutes, flipping halfway through and removing the parchment paper. 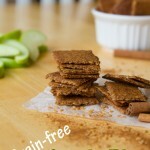 You want the end result to be crisp, crunchy with no moisture left. The edges will be slightly browned. Remove from the oven and let cool on a cooling rack for 15 minutes.